Improve successful scheduling? MAKE A NOTE! Notes. You can never have too many. You can always have not enough (and most do). Having consistent detailed notes attached to every patient, every appointment, every treatment plan, every broken appointment, every family file and every insurance description will not only make your life easier, it will make the patient happier and actually increase your systems for success. Communication is crucial for any success – personal or business. I can tell you from working in practices across the US, the more details a practice has in ALL areas, the stronger their scheduling success results are. Period. It’s always our goal to make such detailed notes that ANYONE who goes behind us knows exactly what we’ve done, when we spoke with a patient, why we spoke with them, when can we follow-up and what to expect for next scheduling. Once your notes become this detailed, I guarantee you that you WILL see a difference in your scheduling success. 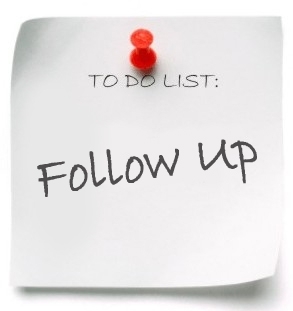 Follow up – Be detailed with when you can follow-up, why you are going to follow-up, how you should follow-up, with whom you should follow-up and what the follow-up is regarding. If a patient leaves without scheduling their next appointment, it should be noted WHY and when to follow-up. Problem is, you might note it but where are you placing the follow-up reminder? 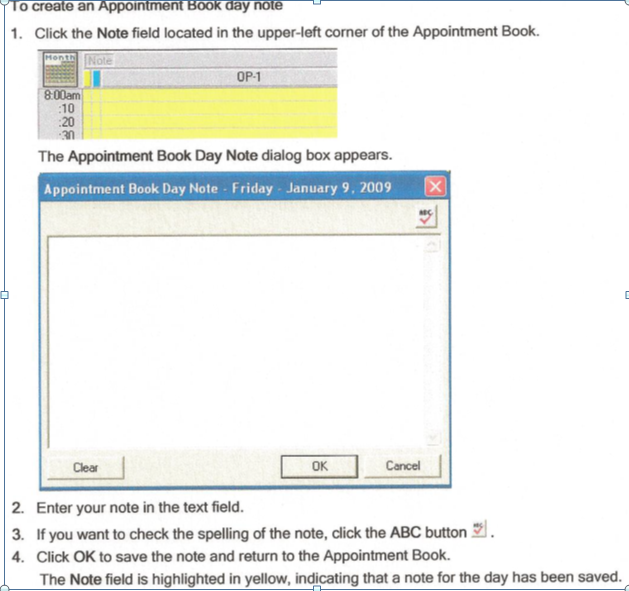 Eaglesoft has a great tickler system, Dentrix has daily appointment notes and sometimes you can just create a quick “block” with the follow details noted on the given day. Unscheduled appt follow-up. Note in the patient chart, notes or journal if the patient states they have to check their calendar, or check with their spouse, they need to review finances or were in a hurry to leave. This creates a great connection opportunity at your follow-up call! Patients LOVE when you remember a conversation and having this detailed information allows you to connect with the patient immediately! “Hey Jon, it’s MB from Dr. Smith’s office! How are you? I know you were in such a time crunch last week when you were leaving – I’m touching base to follow-up and get the restoration scheduled that Dr. Smith had recommended for tooth #2.” It allows you to be PREPARED with the best verbiage and information to overcome any challenge the patient might present in scheduling. Appointment no-shows/cancellations. This area is under used and usually missed in follow-up but is a great resource for filling appointment openings, WITH the necessary notes. If a patient calls to cancel but doesn’t reschedule, NOTE the reason (patient was ill, work related etc). Always insert a dateline with a reason and then BREAK the appointment or send it to the pending/quickfill list. Do not EVER delete one of these appointments unless a patient is not returning. By making detailed notes, your quickfill/pending/unscheduled lists now become VIABLE lists to work on a consistent basis. The quicker you reach out to a patient who broke an appointment, the greater your chances of getting that patient rescheduled. When a patient cancels due to illness, what better way (after reviewing the detailed notes about this) to make a reconnection than to call them and ask them how they are feeling? Scheduling my friends is always based on some type of emotion – the relationship of trust and connecting. Being seamless in your communications allows you to focus on this. Appointment notes/opportunity – Every communication with a patient about a specific appointment should be noted on that appointment. Confirmations (who, what, where, when and by which phone number). If the patient brought up questions, if they want to discuss additional treatment, etc. EVERYTHING should be noted and viewed as an opportunity – An opportunity to maximize production and provide the highest level of patient care. How many times has a patient mentioned that they had said something to so and so about something, and yet no one on your team has a clue? Book review. Reviewing the opportunity available within each appointment that is already on your schedule will make a huge impact on further scheduling success. Within each appointment review if the patient has any undone dentistry, if there are any other family members that might be due for a visit, if the patient is eligible for an FMX/PANO or even FL. Review notes to see if they have ever discussed whitening or cosmetic wants. All of this hidden opportunity is at your fingertips you just need to note it and work it! Insurance claims. If you talk with an insurance company, or even a patient, about an outstanding insurance claim, NOTE it. It will help you in follow-up, expediting payment processing and eliminate touching everything more than once. Trust me on this! Chart notes. Yes, you would think these are a given. And sometimes they are. Note all discussions with the patient, what their responses were, what/when their next visits should be. Being detailed with this information, again, allows you to pick up where the conversation left off in your follow-up. If the dr recommended a crown on #2, and he’d like to see it started within the next 4 weeks, NOTE it! If the patient was hesitant due to finances, now you will really be prepared to overcome their challenges and get them scheduled. Consistent and detailed notes allow you, your team and your support teams to provide consistent communication and be in the perpetual state of scheduling preparedness by KNOWING. If you aren’t aware of it, how can you tap into it? Here’s to the increased scheduling you WILL see when you amp up your detailed notes. Its time to replace that boring, non-productive, non-friendly answering service with a result producing, customer service driven, appointment scheduling AWESOME service!